On January 26th, fototazo celebrated its sixth anniversary, giving us our annual opportunity to take a look back at the past year and ahead at plans for 2017. In 2017, the microgrant program raised $1,882. Thank you to those who have contributed – this site continues because of your contributions! 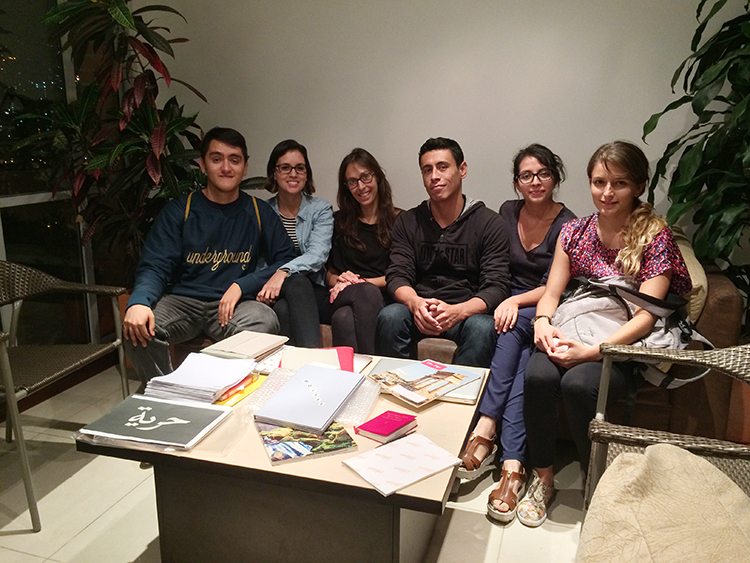 In addition to individual grants to Alejandra Arias and Kevin Salcedo, fototazo also raised funds to hold the Medellín Foto Camp in August 2016 which involved ten former microgrant recipients. 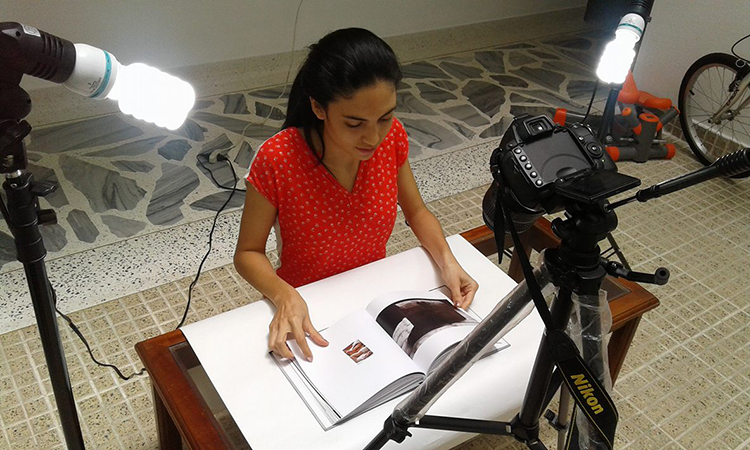 The camp began with a two-day photobook workshop in Medellín with Mariela Sancari, and participants continued to work on their photobook projects with online help from Jeff Rich, Irina Rozovsky, Alejandro Cartagena and Mariela during the subsequent months. 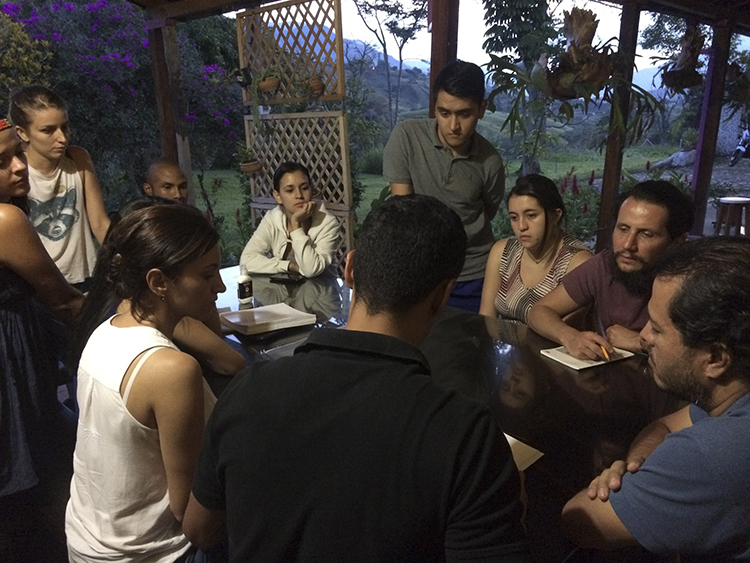 The former microgrant recipients involved also participated in a photobook workshop with Camilo Echavarría and Gabriel Mario Vélez in Medellín later in the year and then received final reviews of their projects during a retreat weekend in Barbosa, Colombia with Gabriel Mario and Juan Orrantia. There are two major offline plans for 2017. The first is to travel to Mexico City with a group of former microgrant recipients during the last months of the year to give them the chance to continue to professionalize by working alongside photographers of the highest standard, including Alejandro Cartagena and Mariela Sancari. Details on this project are being worked on currently. The second is to place a former microgrant recipient in a new residency project in the United States that fototazo is working to have ready by May 2017. Details on this project will also be announced in the coming months. I would like to extend a thank you to all of the 2016 contributors of images and words for their help in providing a level of content that has attracted a broad readership. Over the last few years, I have produced fewer posts as I dedicate more time to the real world projects fototazo is involved in. In 2016, content reflected an ongoing shift towards Latin America as I actively work to use the site to serve as a bridge between Latin American photographers and an international audience through an English language platform. The new LatAm f100 series being developed with Jaime Permuth is an example of the direction our online content intends to go. The latest post in the series can be found here. In addition to Latin American posts, I also plan to continue to occasionally post essays, interviews and short series on topics such as editing or developing projects. It’s been over a year since I have published on fototazo's Tumblr page, fototazo etc., but I continue to actively maintain its Facebook and Twitter pages. I was unable to make a hoped for overhaul of the site's interface in 2016, but it's on the list for 2017. I would like to extend a thank you to the fototazo Board of Directors composed of business leaders Yaron Ben-Zvi and Raphael Crawford and photographer Amani Willett and also to the fototazo Advisory Board, which includes photographers Nicholas Nixon, Laura McPhee, and Gabriel Mario Vélez, for another year of service in their roles. Finally, thank YOU for following the site and choosing to spend your time reading what we publish from among all of the many quality photography sites that exist. We look forward to taking another step in 2017.